It’s been more than 33 years since Queen, spearheaded by their electric front man Freddie Mercury, charged onto the stage of the 1985 Live Aid concert and performed the set often lauded as the greatest live gig of all time. The release of “Bohemian Rhapsody,” the Queen biopic starring Rami Malek as Mercury, has provoked a swell of nostalgia and emotion around that moment in musical history. In the spirit of the unabashedly uncool band itself, I’d like to add my voice to the chorus. 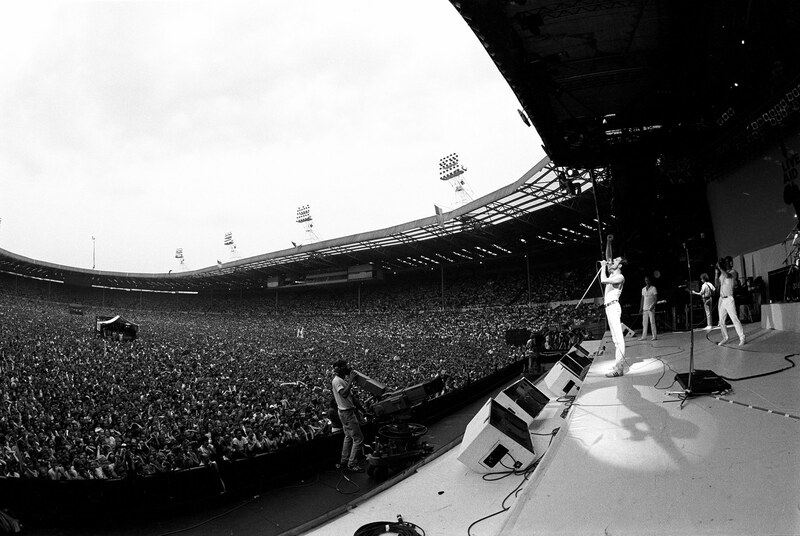 First, a confession: I wasn’t even alive when Queen played Live Aid. I was born three years later in 1988, three years before Mercury died of bronchial pneumonia resulting from AIDS. My first proper introduction came when I was about seven, when someone had left the TV on at home. There was a documentary about Queen, whose thumping, chanty music I had recently identified as “more entertaining than the Beatles” on car journeys. I sat down. By the time the program reached the Live Aid concert, I was hooked. By the end of that segment I was in love with Mercury, and when half an hour later I learned that he was dead, I was heartbroken. Confronted with everything in such quick succession, the tragedy and speed of his death a few years later seemed only to amplify the potency of Mercury’s most glorious performance. It felt as though having been allotted his finite portion of life, he had spent it in lavish, outrageous bursts, sharing delightedly with that crowd on July 13, 1985. Since then, I have watched the set many times, its exuberance and energy undiminished over the 23 years since that first viewing. This is a far from exhaustive account of why, for me, it remains magical. Queen didn’t open or close the Live Aid show. They performed just before 7pm, uncharacteristically in daylight, bookended by gigantic acts like U2, Elton John and David Bowie. Past their peak and reeling from the catastrophe of a misadvised run of shows in apartheid South Africa the previous year, Queen was not expected to shine. Mercury, in particular, had been the focus of disparaging coverage and rumors in the press, where speculation over his sexuality had arguably choked the band’s attempts to break into the American market. 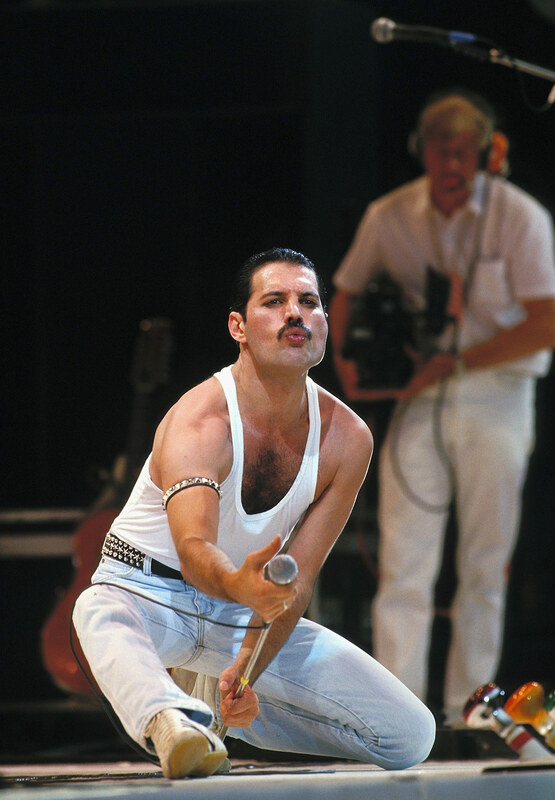 Amid an atmosphere charged with pessimism, Mercury danced out on stage and welcomed the crowd like his dearest friend. By the time he sat down at the piano and hit the first few notes of “Bohemian Rhapsody,” he was the absolute master of the stadium. Over the next 21 minutes, his audience, and the 1.9 billion people watching on TV around the world, fell in love with him. His humor, his hyper-masculine yet fantastically camp energy and that phenomenal four octave voice were irresistible. Mercury was a brilliant sight. He had stripped his look to the bare essentials — white tight jeans, trademark moustache, a white tank top showing off his chest and arms, a studded band hugging his right bicep. The whole group, absent their flamboyant 1970s costumes and set paraphernalia, proved they didn’t need them. There was no distraction from the performance. Mercury was indeed a born ringmaster. There was no alienating affectation, no wallowing in sentiment. Where other bands might have been complacent, Queen swept through a distilled serving of their greatest and most bombastic hits to date, well-rehearsed over several days beforehand, with a swagger that never milked anything at the expense of the audience. The only pause came at the end of “Radio Ga Ga,” which Mercury performed at the edge of the stage, pumping his sawn-off mic at the crowd. For just over 30 seconds, he led them in a vocal improvisation, which was later christened “the note heard around the world.” He carried the audience, his winks and nods making the triumph a shared one, blown kisses and thrusting hips an assurance that he was as turned on by everyone as everyone was by him. Queen consciously wrote their songs as vehicles for theatrics, and that day, it set them apart. They closed their set with “We Are The Champions,” an anthem built to amplify with the size of its audience. Mercury, having flown across the stage for the entire show, returned to the piano for the start of the song, echoing the set’s opening, but then came back to the crowd for the climax. He took nothing for granted, his remarkable vocals flawless till the end, even as he basked in his indisputable victory at the edge of the stage. The brilliance of that set didn’t only reverberate around the world that summer. It has rippled through every viewing thereafter. For a man whose death is so focal in the history of HIV/AIDS, Mercury remains undefined by it. He greeted the world on his own terms and did whatever he loved, as and when he chose to. 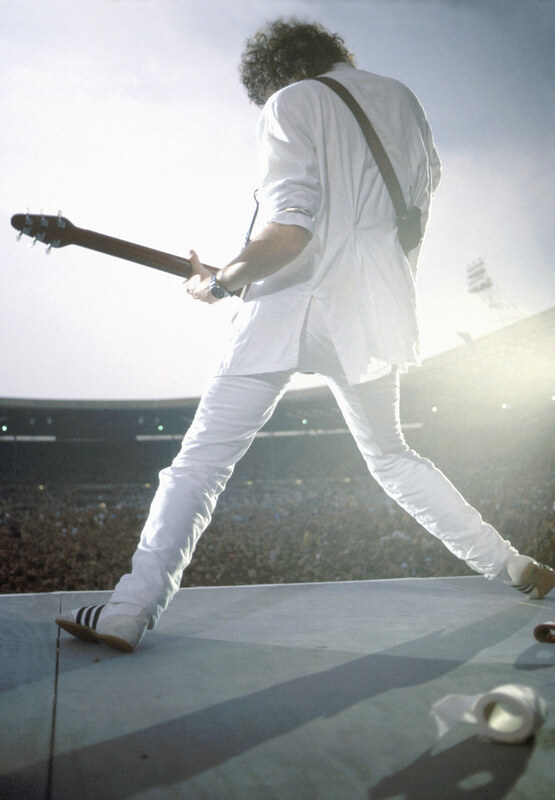 His spectacular performance at Live Aid, which not only resurrected Queen, but established them as one of the most successful acts of all time, is just one part of his generous legacy. It deserves to be enjoyed for many years yet. Holly Thomas is a British writer and editor based in London. She tweets at @HolstaT. The opinions expressed in this commentary are solely those of the author. View more opinion articles on CNN.